Great Britain netted its fifth medal in the European Track Championships on Saturday when Jason Kenny took bronze in the individual sprint following the disqualification of fellow semi-finalist Damian Zielinksi. 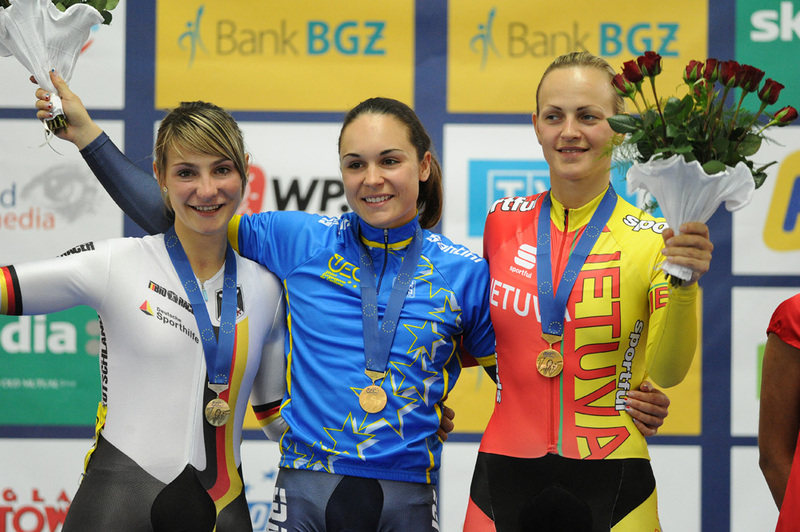 Kenny’s success followed two golds for Great Britain in the team pursuits on Friday, as well as silver for the women and bronze for the men in the team sprints. After being beaten by Frenchman Kevin Sireau in the semis, Kenny’s fight for bronze on Saturday was something of a non event. Home favourite Zielinski had been disqualified from the competition after two warnings for dangerous racing in the other semi final and all Kenny had to do was turn up at the start line to claim his bronze. Kenny recognised it was a strange way to get on the podium, but pointed out that it was a medal nonetheless. Kenny’s progress to the semis had been fairly straightforward, with his rides against Dutchman Roy Van Den Berg in the quarter finals particularly impressive. 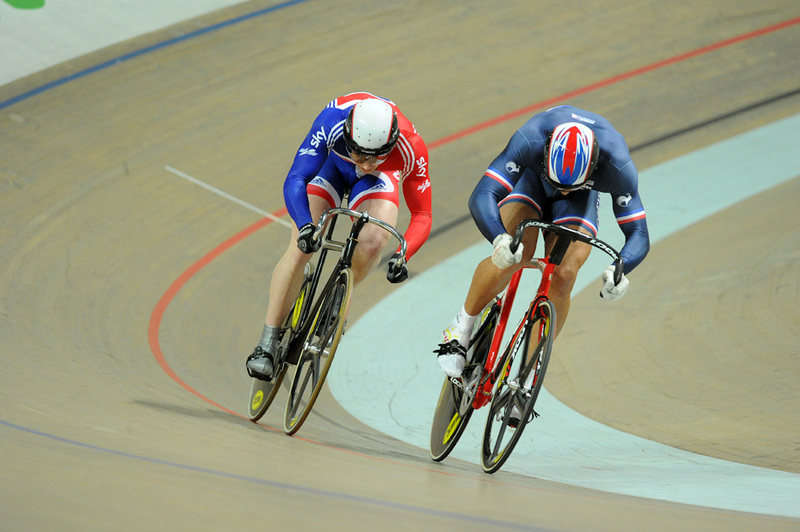 On each occasion, Kenny charged past with a lap to go before holding off the Netherlands rider for a comfortable win. However, his battle against Sireau in the semis was as far as he got. Three times a podium finisher in the World Championships, Sireau trailed Kenny closely before powering past him for a close win. In round two, Kenny then switched tactics and tried accelerating away from behind but his late charge left him with too much ground to make up. Kenny’s bronze helped deflect attention from Sir Chris Hoy’s embarrassingly early departure from the individual sprint after he was beaten by 18-year-old Irishman Felix English in the first round. Hoy admitted later he had made a mistake by underestimating English’s capacity to bounce back after the Scotsman had taken an early advantage – a mistake which saw him take an early exit from the Championships. 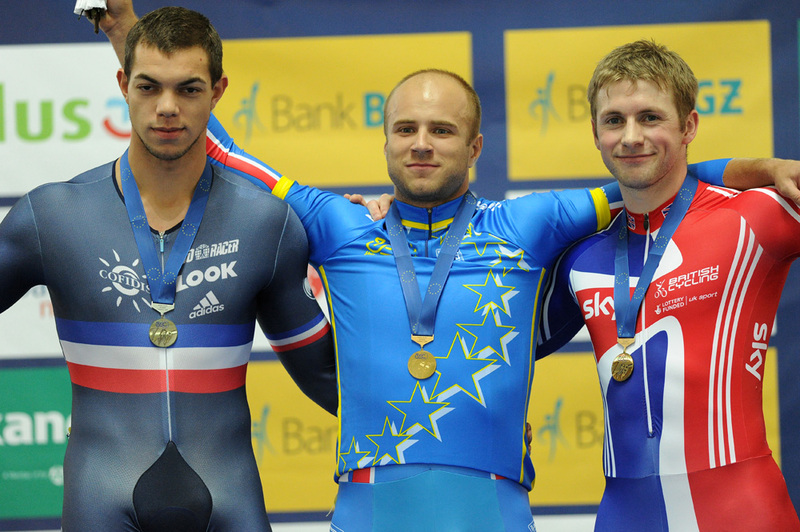 The eventual winner of the men’s sprint was Denis Dmitriev who beat Sireau 2-0 in the final. In the equivalent women’s event, Jess Varnish made a promising start when she took second in the 200 metre qualifier. Varnish lost out in the second round to Ukrainian Lybuov Shulke, but bounced back via the repechage to make it through to the quarter finals. Two narrow defeats against Bylorussian Olga Panarina followed, and in the race for fifth to eighth, Varnish finally clinched sixth. 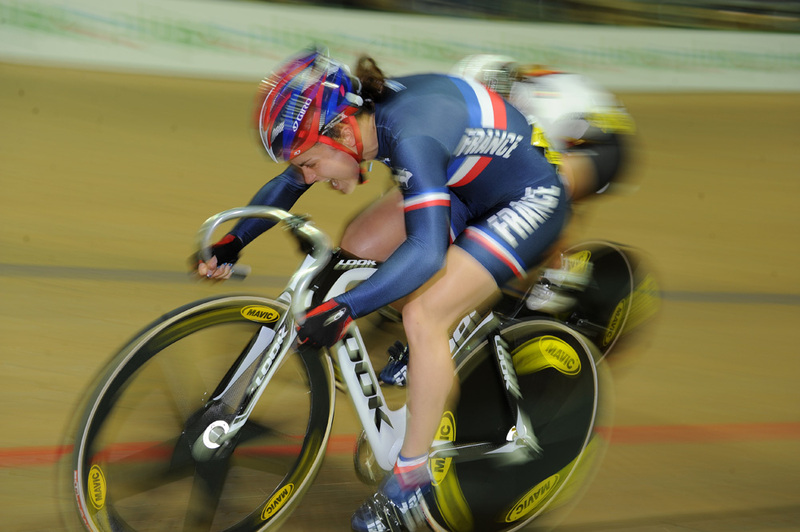 France’s Sandie Claire claimed gold. 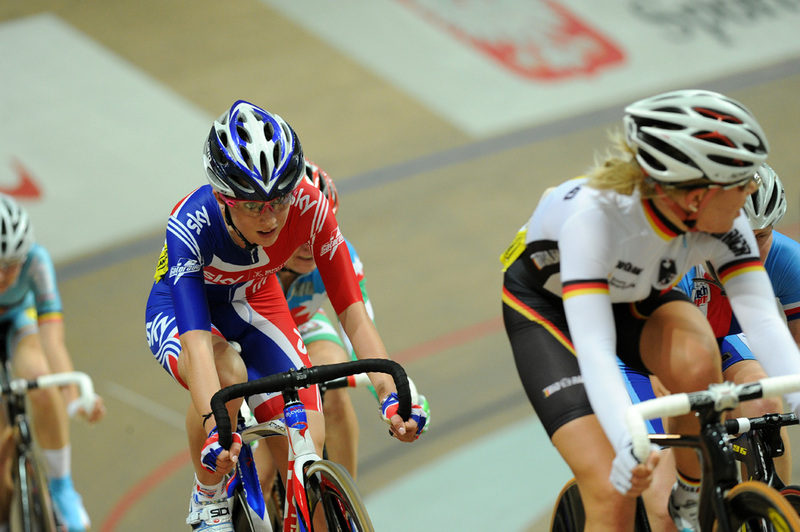 The final day of the Euros tomorrow sees Kenny, Matt Crampton, Vicky Pendleton and Varnish taking part in the keirin. 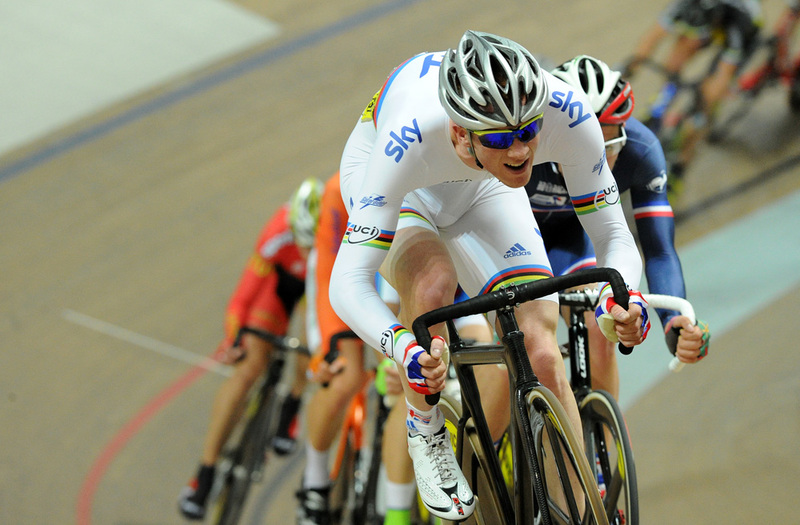 Meanwhile Ed Clancy and Laura Trott will be looking to continue today’s solid showings in the Omnium. Clancy’s campaign couldn’t have got off to a better start when he set the fastest time in the flying lap. He currently lies seventh while 18 year old Trott lies eighth.